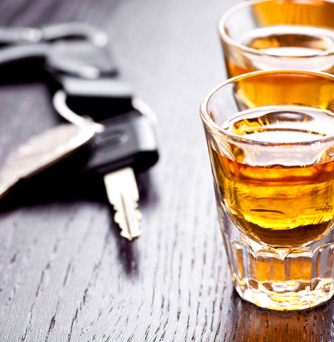 Driving under the Influence (DUI) is considered a serious crime in Pennsylvania. In 2004 the Pennsylvania General Assembly passed a new DUI law under Title 75 § 3802. This law increased the penalties in many cases for DUI. A conviction can lead to a mandatory jail sentence, driver’s license loss, and mandatory fines. The consequences of a conviction can also reach beyond the criminal sanctions and cause serious problems for employment. For repeat offenders, the risks are even higher. The mandatory prison sentences that the prosecution can seek can include one year incarceration in a state prison and years spent on parole. The police and prosecutors in DUI cases are well trained and motivated. If you are charged with DUI, it is imperative to have an attorney who can protect your rights and fight for you. At Cody & Pfursich our attorneys have over 60 years of combined experience in representing individuals charged with DUI. We have had a great deal of success in negotiating these cases to achieve favorable resolutions for our clients. We also have the trial experience and know-how to aggressively fight DUI charges in Court. If you have been charged with DUI, please call us. The stakes are too high to not have excellent legal representation.